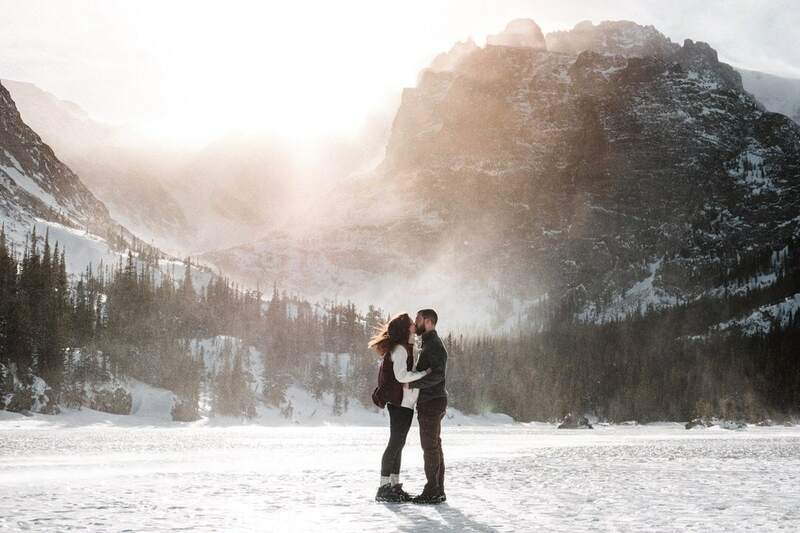 Shayna and Billy came out from Chicago for their Brainard Lake winter engagement session with me! 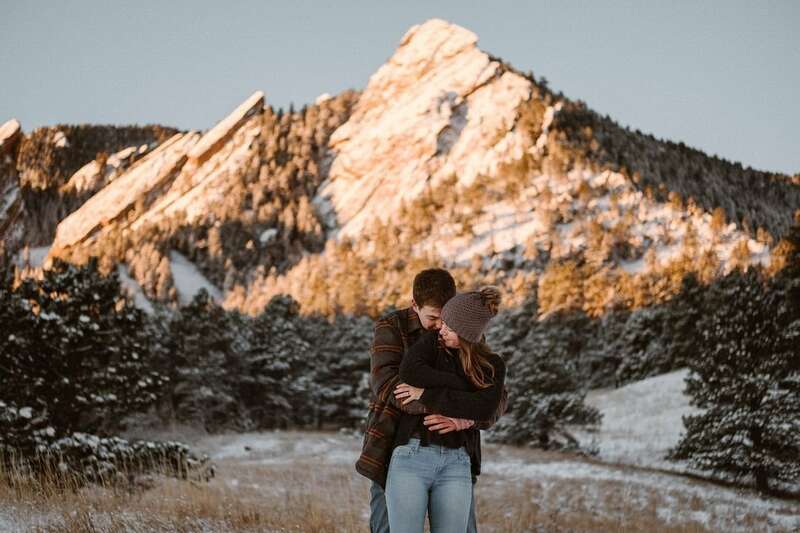 I’m photographing their wedding at Piney River Ranch in Vail in 2020. Since they were already planning a trip to Keystone to go skiing this winter, we decided to do their engagement photos at the same time! I love getting to photograph couples in a more casual setting before their wedding. It’s the perfect low-pressure way to get to know each other! Since we had almost 2.5 miles to hike before getting to Brainard Lake, we had plenty time to chat before I started pointing a camera at their faces. I really think it makes a huge difference, versus just meeting in a parking lot somewhere and immediately starting photos! This hike is one of my favorites to do in winter, because while it’s a 5 mile roundtrip, it’s also pretty easy. Or as easy as any hike can be at 10,000ft in the snow. I love how the wind blows snow around the mountains in Indian Peaks Wilderness! Although the same wind usually makes Brainard Lake winter engagement sessions really cold too. We were lucky to get a nice blue sky day though, and stayed plenty warm when the sun was out. If you want to see what this area looks like in bad weather, check out the photos from Kimberly and Kevin’s engagement session last year. With 19 degrees and 40mph wind gusts and snow, it felt like being in the middle of a very intense snow globe! And if you’re interested in hiking to Brainard Lake, check out the trail info from the National Forest service. It’s a bit busy on weekends, but absolutely worth the hike!